The show’s been going on now for more than 3 years. Its been a great project; a quick look through the archives will show you the depth and scope of what has been aired on Down Home Radio – dozens of in depth radio interviews with well known elders of the folk scene as well as many great new performers you won’t hear about anywhere else, articles, archival materials, tons of amazing old recordings drawn from obscure sources, plus lots of hard to find out-of-print LPs, digitized and posted for your pleasure and convenience, all for free. But I can’t continue to do the show without your support. Increasing demands on my time from other projects and the rigors of getting along in New York City make it hard to find time for Down Home Radio anymore. If you value this show/archive, recognize it as something unique and much more than just a blog, please support what I’m doing. Down Home Radio needs funds to replace broken equipment, to pay for all the technical, logistical and office expenses involved with the program and to continue to bring you the coverage only DHR can. With your support DHR can not only continue but will be able to expand its programming and produce new shows of all kinds on a regular basis, as well as pay for ads in magazines and generally increase its profile and listenership. I have not set a specific monetary goal for this fund drive, but rather hope that listeners will show their appreciation for the shows already produced and donate an amount that will offset to a significant degree the cost of its continuing production and progress for a years time. Check out today’s show to hear music from some of the awesome new performers I would like to have on the show in the future, plus live recordings from the 2009 Brooklyn Folk Festival, sponsored by Down Home Radio and organized by yours truly. I also have a number of great interviews already recorded that I can’t find the time to get to, including Jack Elliott, Del McCoury, Peter Rowan, Jody Stecher, Larry Hanks, as well as Archie Green, Harold Leventhal and Jim Longhi – very important figures in folk music history who are now deceased. That’s why I have staged this fund drive, in an effort to muster the resources to continue this unique voice in the media and add this important material to the public archive that is Down Home Radio. Down Home Radio is live from the grass roots of the folk revival that’s going on right now. If you appreciate this kind of coverage, please make a tax deductible donation to Down Home Radio, and receive any or all of the 3 awesome premiums listed below. – Amy Goodman, Democracy Now! For a $25 pledge, receive a Down Home Radio bumper sticker. 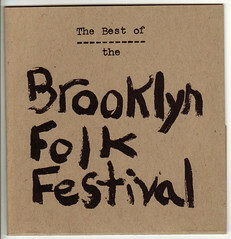 For $50 receive the fabulous “Best of the Brooklyn Folk Festival” live CD, 15 songs totaling more than 1 hour of music, only available right here right now. Check out selections from the CD on today’s show! 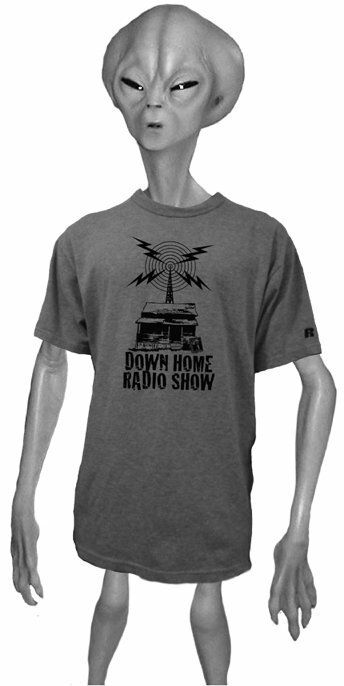 For $75 receive the awesome Down Home Radio Show t-shirt, modeled here by our executive producer! And the special holiday deal of the century! For $100 receive all three, the bumper sticker, “Best of the Brooklyn Folk Festival” live CD and the t-shirt! What a deal! That’s fully 33% off! [L] DHR T-Shirt [R] CD of live recordings from the festival! Make an easy, secure tax deductible donation to “2nd Mind Music,” my business name, via the Fractured Atlas website. with your mailing address and what you would like to receive for your money . Thanks go to Ernesto Gomez and Maria Flores, without whom this fund drive would not have been possible. On today’s show I speak with musician, photographer, filmmaker and folk-musicologist John Cohen of the New Lost City Ramblers. At the time of this interview, conducted in the summer of 2008, John had just come out with a new CD of old recordings called “Berkeley in the 1960’s” on the Field Recorders Collective label. This is a great record label, definitely check them out. On the show we discuss this excellent new album, but also range over topics including his earliest field work in Kentucky and Peru, his influences as a guitarist, favorite photographers and his advice/anti-advice to students, stemming from his experience as a professor of art. John also demonstrates Hobart Smith’s piano style, which I’ve never heard anyone else tackle before and offers his reflections on his friend Roscoe Holcomb. Recordings John mentions are played throughout. Apparently whenever the New Lost City Ramblers would go to Berkeley, CA through out the 1960’s, they would have a big jam at a house on Colby Street. John was so impressed by this gathering of musicians at that place and time that in 1970 with the help of Vanguard Records he flew to California to record this sound. They used the left over tape from the Grateful Dead’s Working Man’s Dead sessions at Pacific High studios and recorded some great stuff, but one thing and another it didn’t come out, until now! Musicians on the record are Jody Stecher, Larry Hanks, Sue Draheim, Holly Tannen, Hank Bradley, Sue Thompson, Eric Thompson, Kenny Hall and Bob Potts, Mac Benford and Walt Koken who would later form the Highwoods Stringband. I’ve been trying to bring this interview out for over a year! Many thanks to Carly Nix for volunteering to edit this interview for airplay, otherwise it might have never got done. Thank you! Sadly, I would also like to note the recent passing of Field Recorder’s Collective founder Ray Alden. He was a great guy who did really important work. I him met on a couple of occasions, but only briefly and without time to really talk or do an interview. Now its too late, but I hope to do a piece about him as soon as possible. And – Thanks go to the Old Time Herald magazine for being super cool and running our advertisement. Check it out in the magazine! Here is an early, influential and fantastic album issued by the Library of Congress in 1942. It was first issued on an album of 78rpm records and then was reissued on this disc early in the LP era. 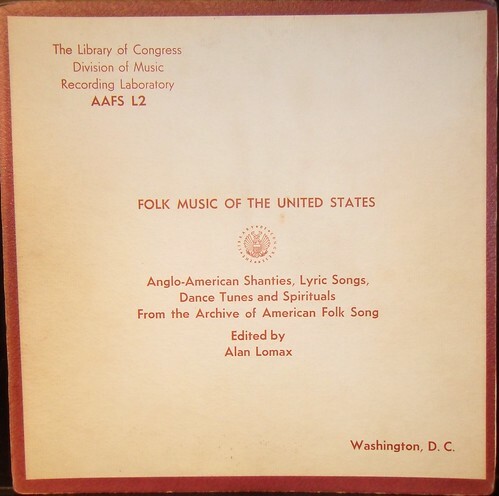 This record AAFS L2, “Anglo-American Shanties, Lyrics Songs, Dance Tunes and Spirituals from the Archive of American Folk Song,” is the 2nd in the “Folk Music of the United States” series and was edited by Alan Lomax. There’s some pretty amazing stuff on here. In fact, all of it is great. It’s a great record! The field recordings on this album were newly made at the time of the album’s release. This was the latest hot off the press stuff. The field recordists who made these recordings, Alan and Elizabeth Lomax, Pete Seeger, Herbert Halpert, Charles Todd and Robert Sonkin are a good representation of the small group of early modern folklorists busy making field recordings of Southern music at that time. There’s some clutch stuff on here. 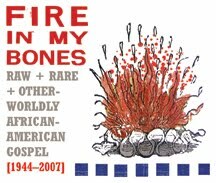 These recordings were very influential early on to Pete Seeger, who made several of them, and to the members of the New Lost City Ramblers among others. Mike Seeger has recorded his own versions of many of the song variants found on this album. I will continue to post more volumes from this series, but I think this one is my favorite. CLICK HERE to download the album cut up into tracks. Ernest V. Stoneman: A Rare Find! Here’s an LP from Ernest V. Stoneman, “The Unsung Father of Country Music.” Stoneman made records starting in 1924 through the end of his life in 1968. These recordings were made near the end of Stoneman’s life and were lost until a decade after his death. This excellent record, released by Stoneman’s daughter, came out in the early 1980’s. 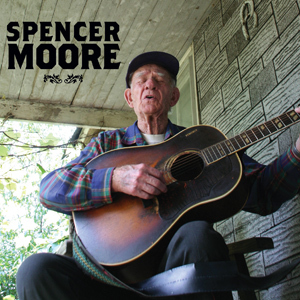 It features Stoneman solo, singing old-time gospel and spirituals and playing the autoharp. 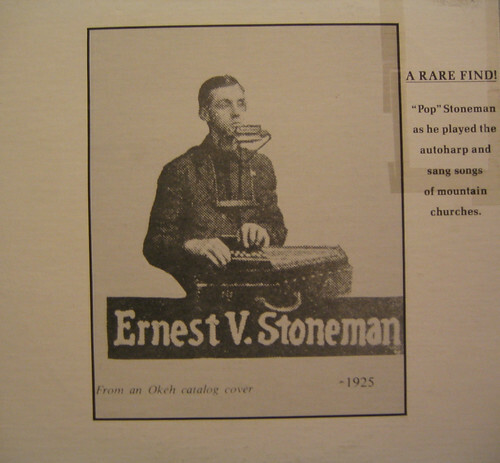 Ernest Stoneman was a very prolific recording artist, recording in a number of different combinations over his long career. During the years 1925 through 1929 Stoneman recorded more than 200 songs. 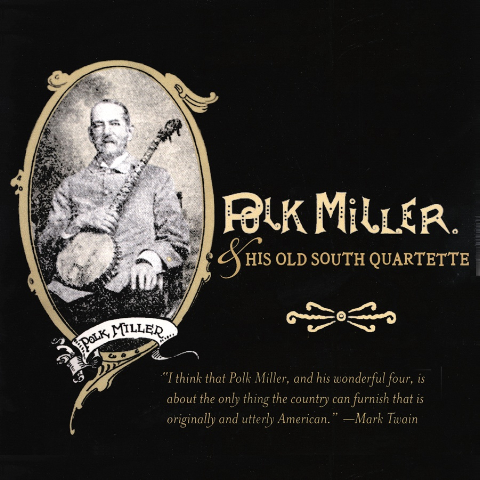 He played the guitar, autoharp, harmonica, banjo, and jew’s harp, and also served as an A&R man. He was responsible for arranging the Victor Records recording sessions for Ralph Peer in Bristol, TN in 1927 where Jimmie Rodgers, The Carter Family, Alfred G. Karnes and many other amazing old time musicians made their debut recordings. Click Here to download Lp cut up into tracks. On today’s show I speak with Josh Rosenthal, the founder of the New York based Tompkins Square Records. This is a great record company that has been putting out really interesting CDs, Lps and 45s over the last few years. 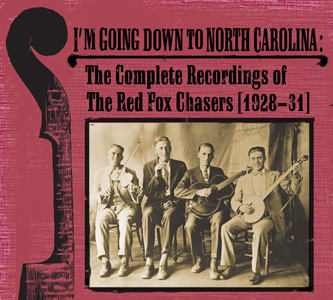 There latest is “I’m Going Back to North Carolina: The Complete Recordings of the Red Fox Chasers [1928-31].” Its a wonderful 2 disc set remastered by Chris King who made the old records sound real good! The Red Fox Chasers are a classic era old-time string band that I hadn’t really checked out before. Turns out they’re great! 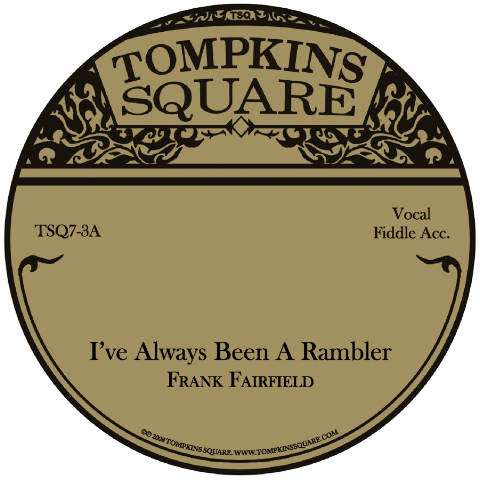 On today’s show we draw from that set as well as a number of other Tompkins Square releases, the brand new soon to be released Frank Fairfield self-titled album, the Cd of 100 year old amazing recordings by Polk Miller and His Old South Quartette, Spencer Moore, Charlie Louvin and more! I will be hosting two CD release events for the “I’m Going Back to North Carolina” album, one in Manhattan and one in Brooklyn. The Manhattan event is Sat. Sept 12th and Banjo Jim’s on the Lower East Side and will feature The East River String Band, The Whistling Wolves, and Peter Stampfel of the Holy Modal Rounders playing with my band The Dust Busters. The Brooklyn show will be held at the Jalopy Theater on Thursday Sept. 17th and will feature Dom Flemons of the Carolina Chocolate Drops, the Strung Out String Band and Peter Stampfel with the Dust Busters. Gonna be great shows! Hope to see you there if yer in the New York area. 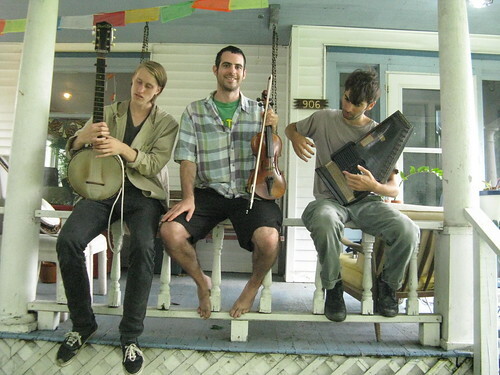 While on tour in early August, my old-time string band The Dust Busters made our first radio appearance. Here we are on Mike Kelsey’s program on WFHB 98.1FM, community radio in Bloomington, IN. We play live, talk with Mike and promote the show we played in Bloomington that night. It was a great tour! Met a lot of really great people (many thanks to all those that put us up, fed us and helped us out along the way), played a lot of music and got quality time in the car! I went down to the Clifftop Appalachian String Band Festival just a couple of weeks ago with my band The Dust Busters. We had a great time, met and played with a million different people and played a set on Saturday afternoon with our friends John Cohen and Tracy Schwarz of the New Lost City Ramblers. The old-time music never stops at Camp Washington-Carver in Clifftop, West Virginia, so about midnight on Saturday I broke out my field recording device and made a round of the different campsite jam sessions that were in full swing. This broadcast is a just a straight 45 minute recording of my midnight wanderings through the grounds of Clifftop. I walked from one great group of musicians to the next in rapid succession. 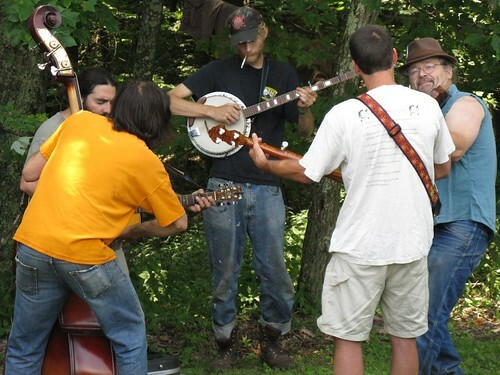 Each campsite had its own huddle of musicians playing fiddles, banjos, guitars, doghouse basses, harmonicas and singing away at the old-time tunes- no matter which direction I turned, it was hard to go wrong! With sadness we mark the passing of one of the real true greats of American music in the last half century. 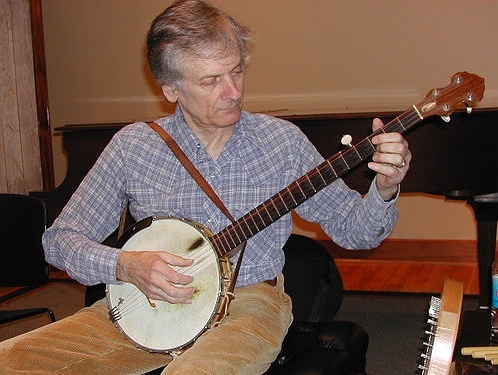 Mike Seeger was a master of the banjo, guitar, fiddle, autoharp, mouth harp, jew’s harp, quills, mandolin and essentially any instrument he laid his hands on as well as being a great singer. He died at his home in Virginia on Friday after a long battle with cancer, he was 75. I’m writing from the road, out on tour with my old-time string band. We’re here in Cincinatti, OH today, listening to Mike’s “Second Annual Farewell Reunion” album, a wonderful record he did with a number of friends back in 1973 and remembering this man who brought us so much amazing music both as a member of the New Lost City Ramblers, a solo performer and as a promoter/field worker. Mike Seeger’s influence on American music is untold. He was an inspiration to nearly everyone involved in the field of traditional music in this country for the past 50 years and consistently brought to light amazing songs, musicians, musical styles and histories which we might otherwise never have heard about. Although he had cancer for a number of years his final passing was quick and he left the world still busy performing and documenting the music that he loved. I’m reposting here an interview I did with Mike Seeger back in 2003 and first posted on DHR back in 2008. It was my first real radio interview! Also included (the 2nd play button) is a recording of the live set that Mike played when I booked him at the Oberlin College Folk Festival in 2003. 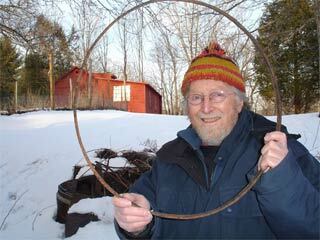 Below are links to a lot more information about Mike Seeger and his work. On today’s show I speak with Aurelia Shrenker and Eva Primack, amazing singers and ex-UCLA enthnomusicology students who have relocated to New York and together form the singing duet “Æ.” They do a wonderful and unprecedented mix of songs from the Balkans and Eastern Europe, mixed and mashed with ballads from the American South. A & E sing together in a capella arrangements and also accompany themselves on accordion and panduri, a 3-string lute from the Republic of Georgia. Because of their wonderful voices, good approach and depth of knowledge, it works really well. Tamar Korn, the singer with the Cangelosi Cards told me I had to come down to Barbes, a club in Brooklyn to hear Æ, so I went not knowing at all what to expect. They were great! I caught up with them a few days later to record this interview before they left for a West Coast tour. Æ (Aurelia Lucy Shrenker and Eva Salina Primack) has been performing as a duo for a year. Aurelia and Eva have performed together in Europe, New York, and California and are finishing up their debut CD! The two women bring together a deep knowledge of different vocal traditions, and create something new and daring with each song they sing together. They have chosen the name Æ (the joined a and e, officially pronounced “ash”) because it represents something of a dual nature–not singular, not plural, but exactly two. They primarily perform a cappella but enjoy accompanying themselves on mountain dulcimer, accordion, and Georgian panduri. In addition to their upcoming CD, Æ recently contributed to the soundtrack of “The Great Soviet Eclipse”, the newest film produced under the auspices of the Museum of Jurassic Technology and the Society for the Diffusion of Useful Information (www.mjt.org). Æ’s work is rooted in folk culture and never falls short of being visceral and provocative–in their music, the exuberance of youth and the reverence of ancient tradition coincide.